Entries discuss America's love affair with the automobile, a "longer" day for urban dwellers made possible by electricity, changes in jobs and earnings due to the millions of immigrants who entered the country at the beginning of the decade, a rise in divorce, and, of course, the Great World War. Every entry focuses on a topic or person during the 1910s that made the decade unique. 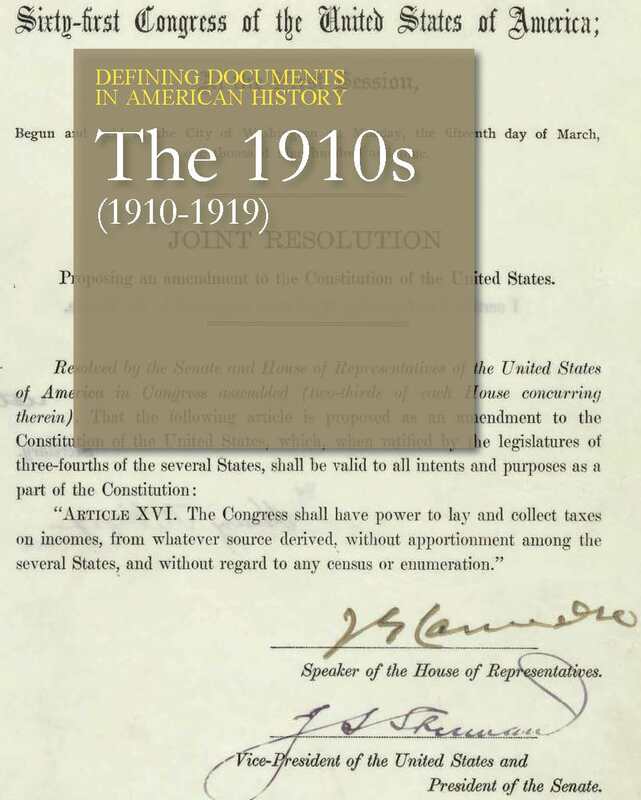 The three volumes of The 1910s in America constitute an encyclopedic reference work covering the most important people, institutions, events and developments in the United States and Canada between the years 1910 and 1919. Although essays in The 1910s in America have been written to meet the needs of high school students and college undergraduates, the set’s clear and innovative approach to the decade and authoritative articles will also make it useful to more advanced students and scholars. Its more than 350 essays cover the full breadth of North American history and culture throughout the decade. 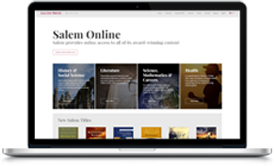 One of the fascinating aspects of Salem’s decades sets is what they reveal about the many unique events and contributions to history of each decade. Readers will find articles on such major events as World War I, the Progressive Era, the Financial Panic of 1914, and the Jim Crow System. Biographies of significant individuals of the decade include Andrew Carnegie, Molly Brown, George Eastman, Henry Ford and John Rockefeller. 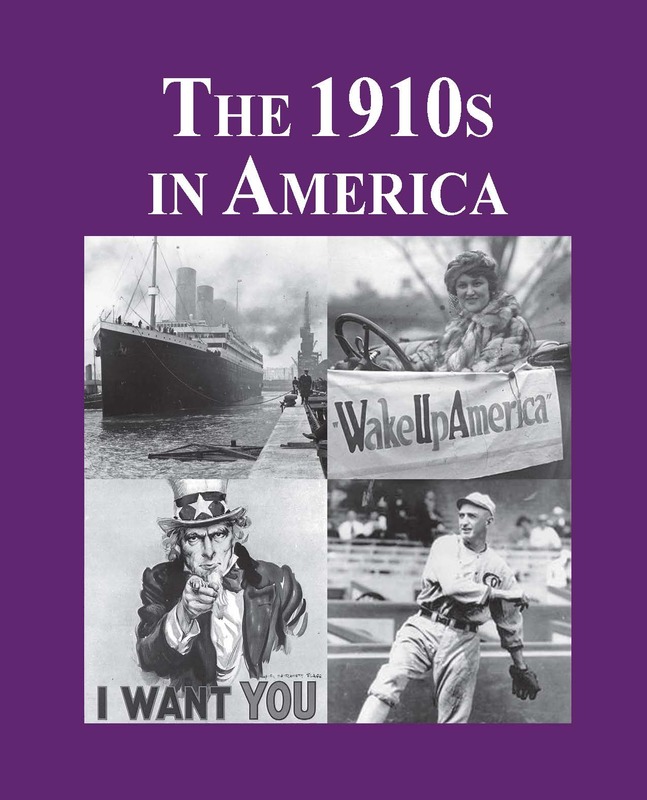 Like Salem’s other decade volumes, The 1910s in America mixes long overview essays on broad subjects with shorter articles discussing people, books, films, fads, inventions and scientific discoveries, and other events and important topics representative of the decade. Every article focuses on its subject within the context of the 1910s, devoting attention to what happened before and after that decade as is needed to place the subjects within their fuller historical contexts. Ranging in length from 1 to 6 pages, each article in The 1910s in America begins with a concise title followed by a brief definition or description of the person, organization, work, concept, or event. Articles provide a variety of ready-reference top matter tailored to the individual topics. Articles on events give brief descriptions of the events and their dates and places. Other types of articles provide similar information. The main body of each article includes various subheads to guide the reader, and concludes with an Impact section that reviews the subject’s broader importance during the 1910s. “See also” cross-references direct readers to additional articles on closely related and parallel subjects. Every article also offers an annotated Further Reading and a contributor byline. The title ends with a List of Entries by Category and a detailed Subject Index. 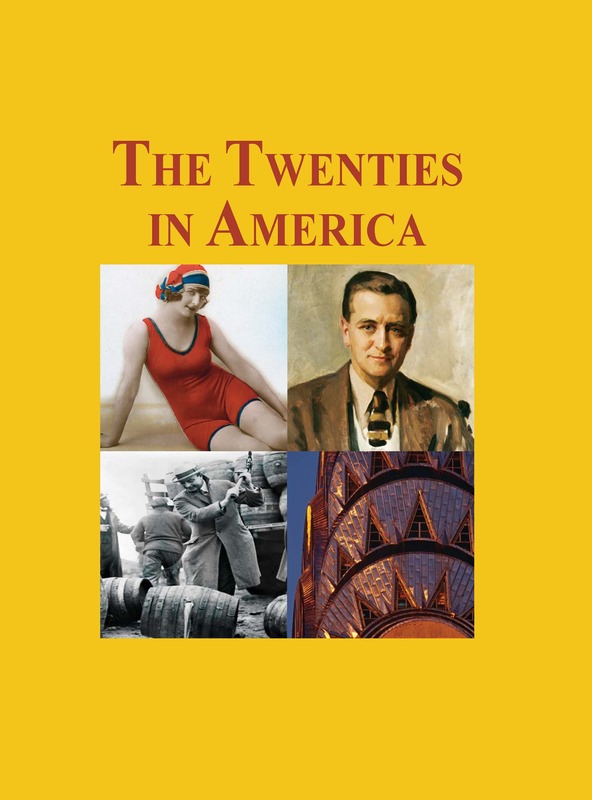 Flappers, prohibition, jazz, and the Lost Generation…The Twenties in America examines the iconic personalities and moments of this uproarious decade. The encyclopedia serves as a valuable source of reliable information and keen insights for today's students. Provides readers with a new, interesting way to study the impact of World War I on American history. 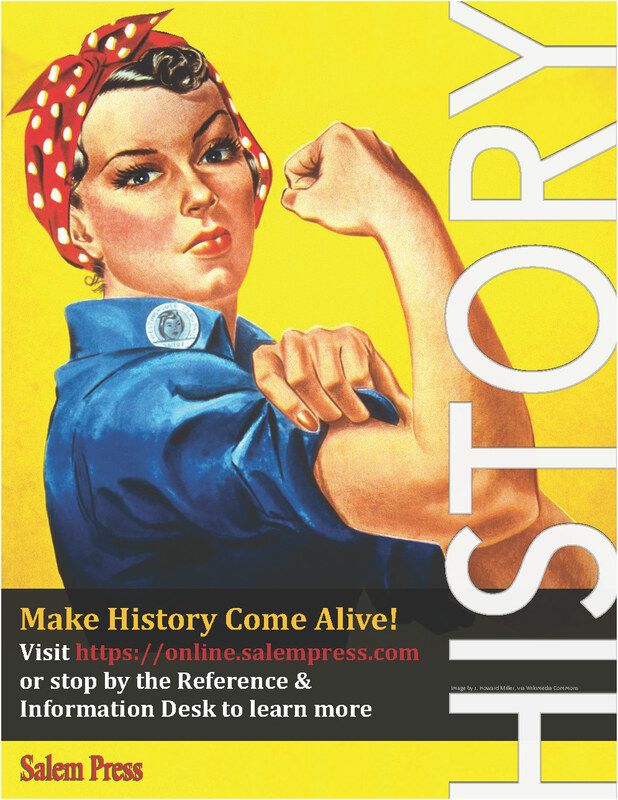 Through in-depth analysis of important primary documents from 1914 to 1919, readers will gain new insight into the causes, issues and lasting effects of this pivotal time in American history. 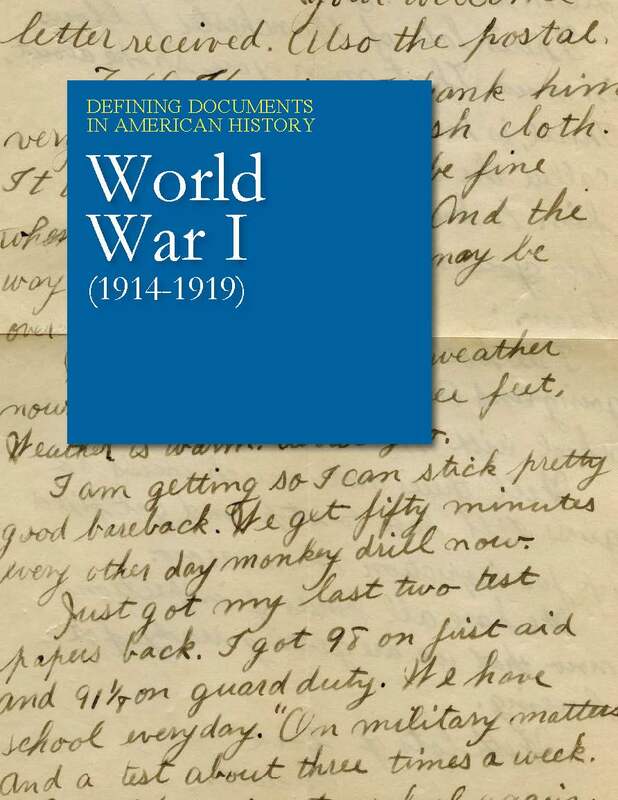 This addition to the Defining Documents series profiles the formative years in modern American history (from 1910-1919), providing careful, close analysis of nearly 40 important documents from the era.